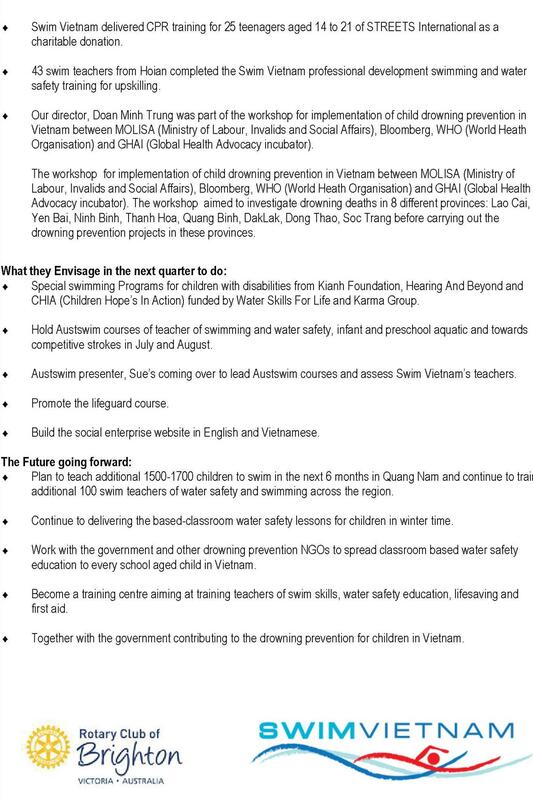 Following our recent donation of $15,000 we received the following progress report from Swim Vietnam. 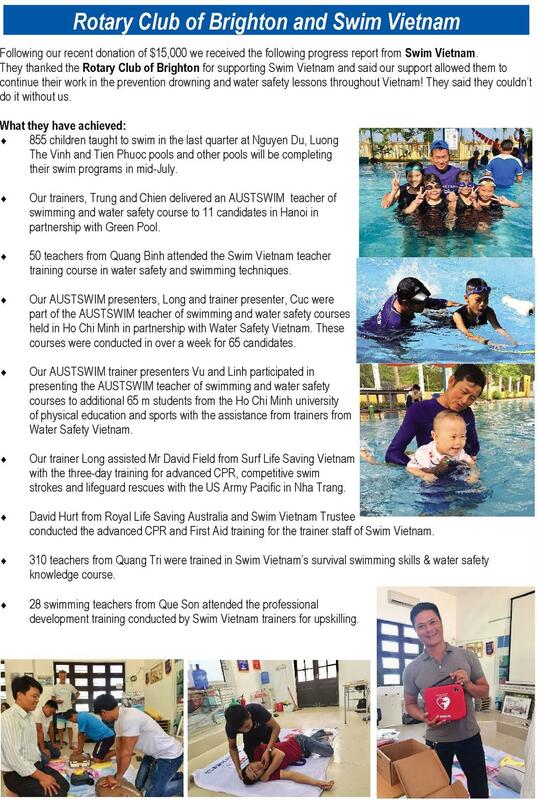 They thanked the Rotary Club of Brighton for supporting Swim Vietnam and said our support allowed them to continue their work in the prevention drowning and water safety lessons throughout Vietnam! They said they couldn’t do it without us.